Belize, situated on the Caribbean Sea, is located in Central America. Its mild temperatures and beautiful vistas have attracted many to this retirement haven. Although its official language is English it comprises a diverse society of many cultures and languages. Over 60% of Belize is covered by forest and its terrestrial and marine biodiversity is rich in flora and fauna. There are several thousand species of flowering plants and over 500 species of trees and birds. Belize is a leader in protecting its natural resources and biodiversity. Ambergris Caye, Belize’s largest island is approximately 25 miles long and 1 mile wide. It is a quiet island with beautiful beaches, fishing and water sports including scuba diving along the stunning Belize Barrier Reef. San Pedro is the only town on the island and there are several smaller villages and some resorts. There are some upscale areas but living here can be much cheaper than in the States. 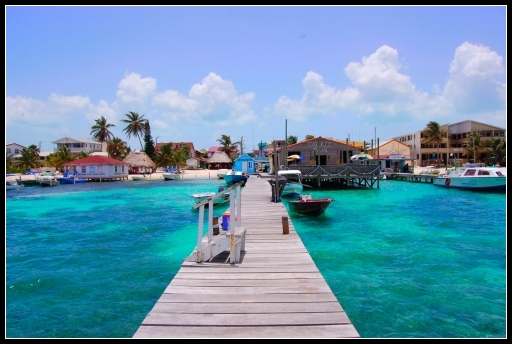 There is a growing ex-pat community in Belize and on Ambergris Caye. Weather: averages between 75 and 85 with cooler temperatures in the mountainous region. The dry season runs from February to May and the wet season runs from June through December. Income Tax: Foreigners in Belize pay tax only on income derived in Belize. There are no capital gains or inheritance taxes in Belize. The tax rate on income earned in Belize is 25%.